A little while ago, I received a package from Alessandro with what I thought was "just" another red nail polish. I can't say that I was completely unimpressed with it but it didn't seem all that special. Well, I couldn't be more wrong! 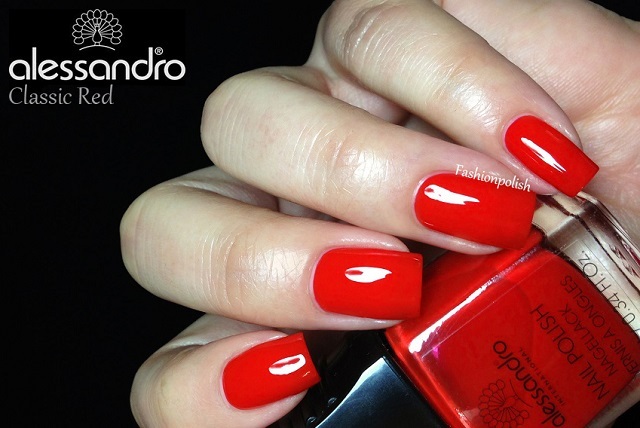 Alessandro Classic Red is a bright tomato red jelly with an orange hue. Super saturated and extremely glossy, if such thing as neon red existed, this would be it. Formula was simply flawless, slightly sheer maybe but opaque enough after two coats. I used three very thin coats here for swatching (and macro) purposes and no topcoat, LOVE! Since 1989, alessandro International has stood for unrivalled quality, exclusivity and innovation. Our standards are the same now as they were then: We are never satisfied with 'good‘ - we want to be‚ 'better‘! It is a motto that fills us with pride and upon which we have laid the greatest value for more than 20 years. alessandro is proud of many exclusive patents and ‘world’s firsts’ that reaffirm the company’s leading role in nail design again and again.The constant development of innovations, high quality products, tools and seasonal collections inspired by international fashion trends are at the heart of the alessandro philosophy which offers women around the world the best for their hands, feet and nails! We are committed to provide the salons and spas with everything they need for delivering the highest-quality services. We welcome all Professionals who share this common passion with us. Give your hands, feet and nails only the best and discover the fascinating range of products in the alessandro world. I don't like reds except for when it's on nails. 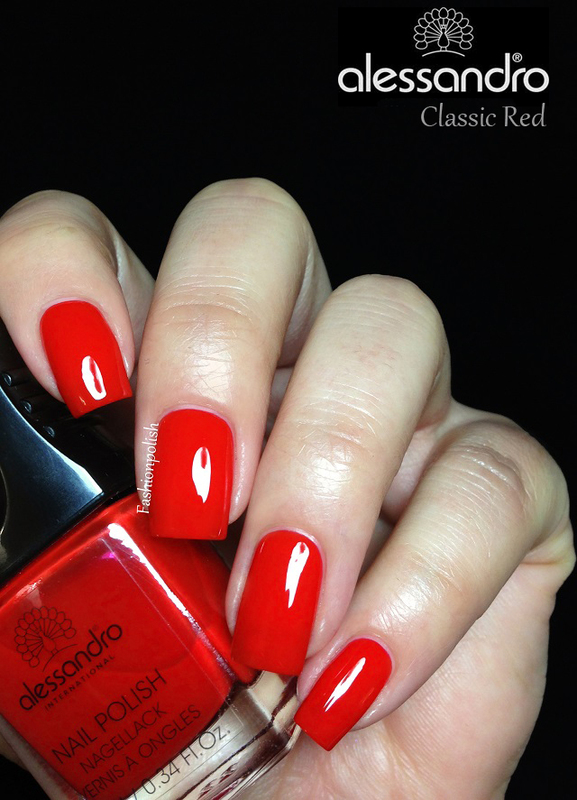 This is a great bright-toned red. Thanks for sharing. Love red, and this is gorgeous! Classic red, it looks gorgeous.